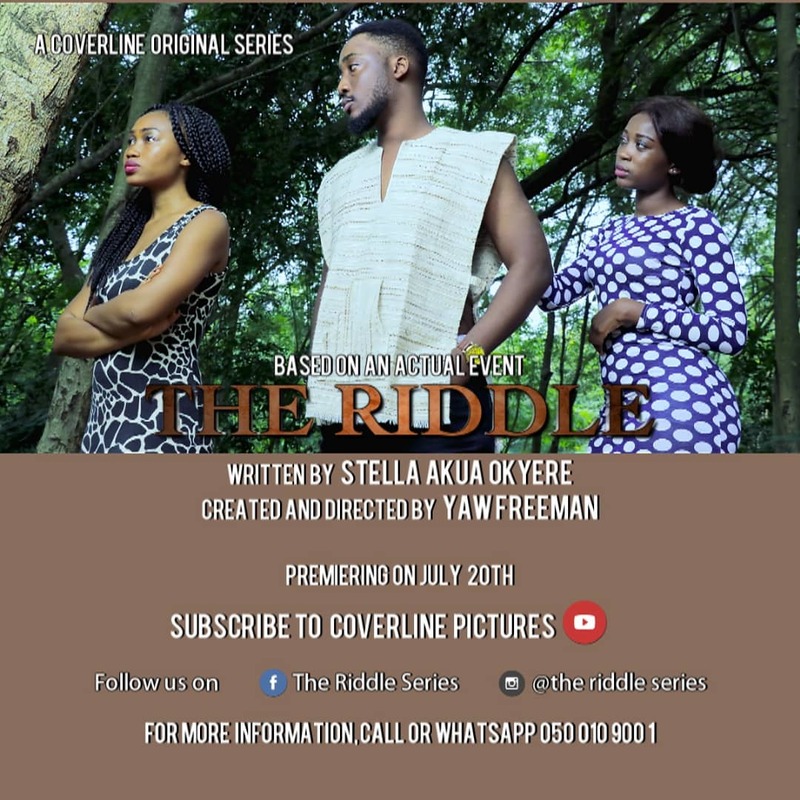 Roverman Productions for the past 10 years have blessed us with a stage play every quarter to quench our thirst for theater arts whilst helping to sustain the culture of patronizing theater by Ghanaians. But never has the brain and artistic director behind this pace-setting brand graced the stage himself as part of any of their productions. 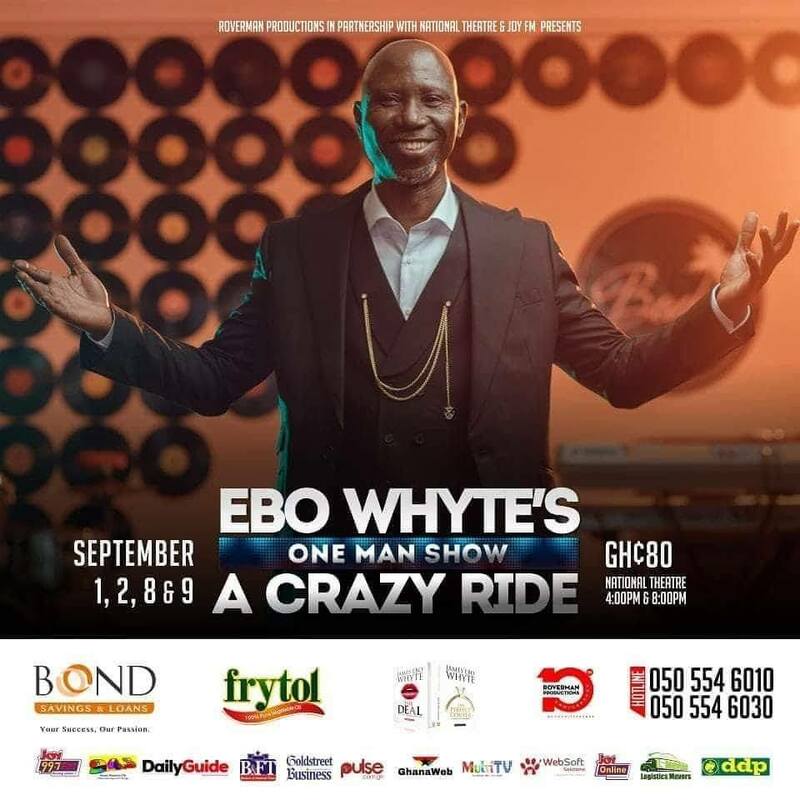 The news of their “one-man-show” featuring none other than Uncle Ebo Whyte himself came to many as a surprise and skeptics wondered if he would be able to pull it off. Over the weekend we believe he succeeded at leaving a lot of people stunned with this production. The productions title “A crazy Ride” eludes how much of a daring feat this is, not just for the playwright but the entire Roverman Productions’ team. Last night, we joined “A crazy Ride” which felt like a summation of James Ebo Whyte’s journey in life highlighting some experiences and influences that are responsible for shaping him into the affluent creative playwright, counselor and a father to many. And he did well to hold his own on the night with what we can describe as a stand-up comedic act interspersed with musical performances. Throughout his 2 hour act, he glaringly or subliminally drops some jewels. Thought provoking insights into dealing with relationships and marital issues as well as handling finances and doing business in Ghana. And he even goes on further to explain the reason behind his thoughts on the legalization of marijuana in Ghana. All this he managed to do with some visual and dramatic demonstrations and a good measure of humor… some very mature humor at some points in the act but were tastefully delivered. For a lot of people like us who might have always seen a serious side to this 64-year-old man whom we all love to call Uncle, this production peels off most of the layers that shrouds the carefree, jovial and ironically crazy person that he truly is. Somehow it felt like Uncle Ebo Whyte bowing out of theater production after 10 years when the applause is the loudest. Especially at the final bits of the production when he goes on to explain the reason why he decided to do a one man show. Unconsciously you are forced to reflect on all that he has been able to achieve. And then he finishes it all off by reminding the audience, especially the young ones, that anything was possible for anyone who continues to try to achieve greatness. Citing himself as an example, who would have ever thought that he would successfully pull off a one man show at this point in life. The entire performance was more standup comedy than acting for us. And he delivered regardless, taking us on the crazy ride. We would rate this production 4 out of 5 stars. It is far from the usual stage plays that Roverman Productions is known for but absolutely delivered on the entertainment, information and education that you would expect from going to any of their plays. For us the entire experience felt like a stand-up on thought provoking subjects fused with a motivational talk, counselling lecture and some good music. “A crazy Ride” possibly cements his name as the greatest of all time to this if there was ever a bone of contention. We could feel the atmosphere in the National theatre get a bit emotionally tensed as he breaks down his reason for the play which then set up the climax of the show with a well-deserved standing ovation. Fortunately, for any remaining skeptics, the crazy ride would be repeated next weekend on Saturday 7th and Sunday 8th September at the National Theater, Accra at 4pm and 8pm. We can settle for a crazy ride but hopefully this isn’t the last ride for Roverman Productions. It is far from the usual stage plays that Roverman Productions is known for but absolutely delivered on the entertainment, information and education that you would expect from going to any of their plays. For us the entire experience felt like a stand-up on thought provoking subjects fused with a motivational talk, counselling lecture and some good music.